M&M is a major breeder of mallard ducks. Our ducks are bred strictly for hunting. They are strong, fast flyers, true to size and color. We guarantee top-quality ducks and prompt, efficient service. Having been in the hunting business for more than 60 years, we know what you expect. M&M has a well-earned reputation for supplying the best flying ducks in the country, and is proud to supply ducks to the nation’s most prestigious hunting clubs. 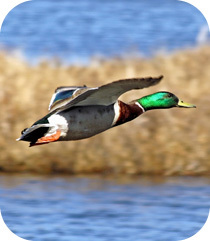 If you want to ensure the success of your mallard release program, contact us. For more information and pricing, call (856) 935-1230.